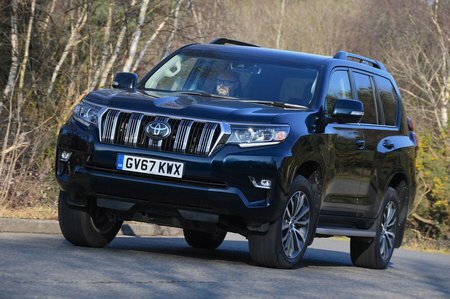 Toyota Land Cruiser 2.8 D-4D Invincible 5dr Auto 7 Seats [Sunroof] 2019 Review | What Car? What Car? will save you at least £3,797, but our approved dealers could save you even more. This trim gives you an electric sunroof, a memory driver’s seat, adaptive air suspension and extra off-road driving aids. Automatic emergency braking, adaptive cruise control, lane-keep assist, blindspot monitoring and rear cross-traffic alert are all standard.